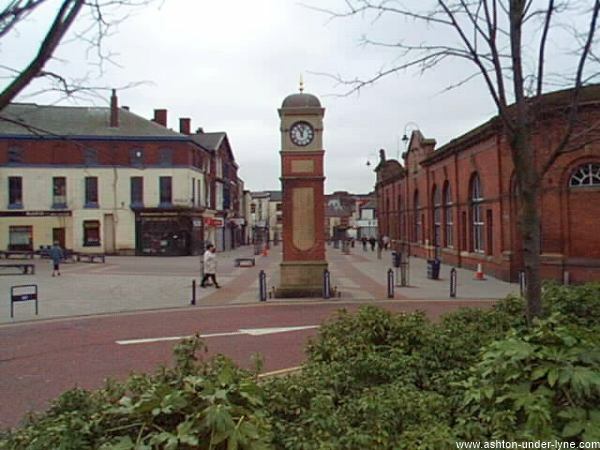 The chiming clock in Market Street, once a busy main road. 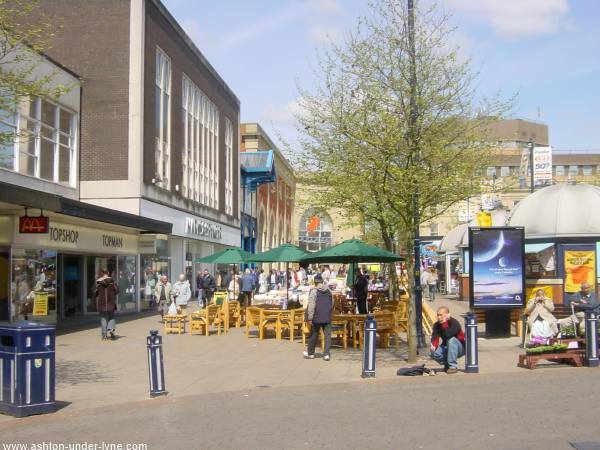 The Market Hall is on the right. 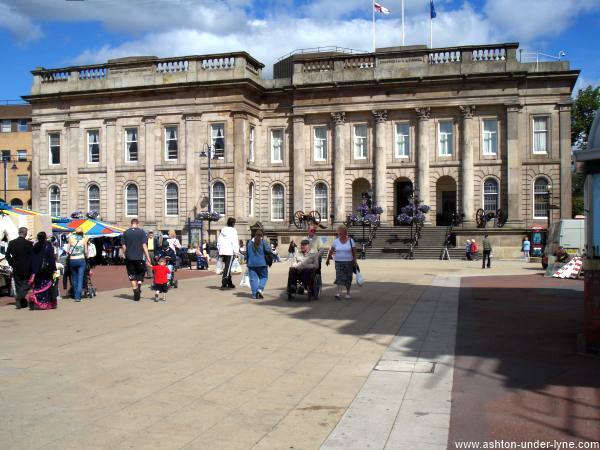 Looking across Ashton Market Ground to the steps of the Town Hall. 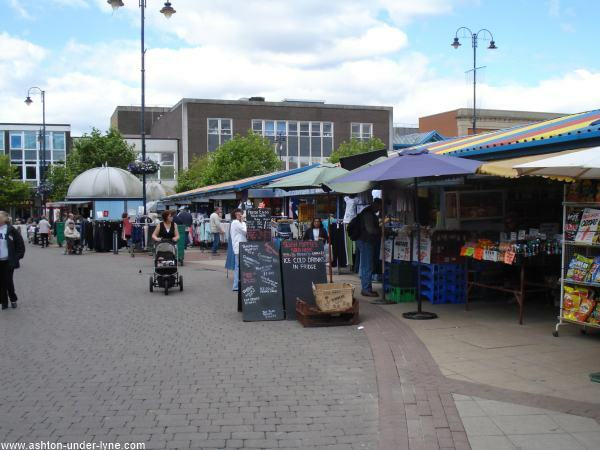 Ashton Market Ground, looking towards the Ladysmith Centre. 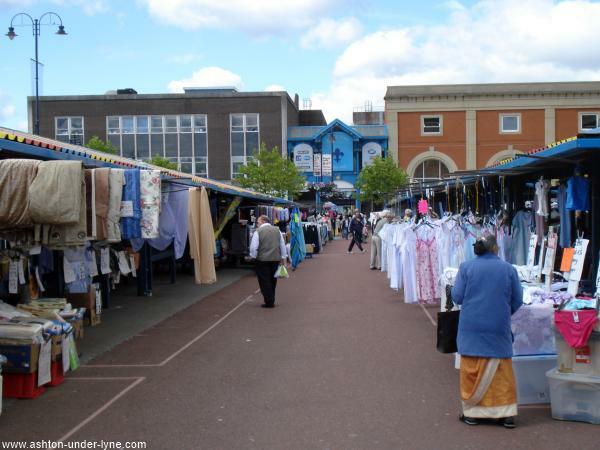 Bow Street at the side of Ashton Market Ground. 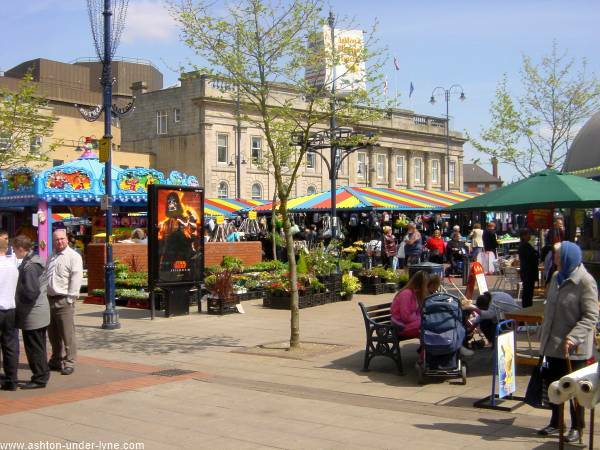 Ashton Market Ground, looking towards the Town Hall. 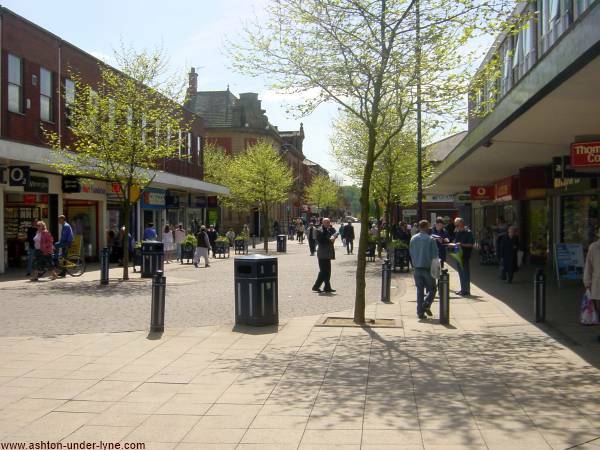 Warrington Street, alongside Ashton Market Ground. 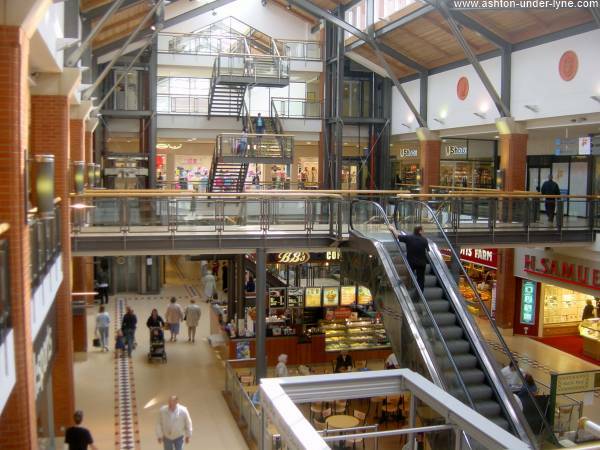 The Ladysmith Shopping Centre, Ashton, originally known as "The Precinct". 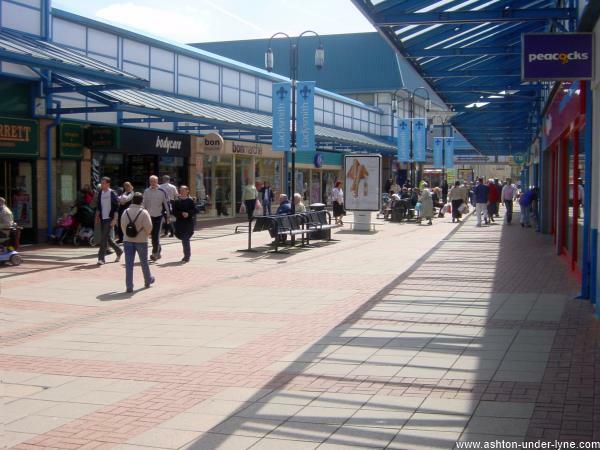 The Arcades Shopping Centre, Ashton, between the Market Ground, the Bus Station and the Ladymith Centre. Warrington Street, at one time choked with cars and buses is now a pedstrianised zone. 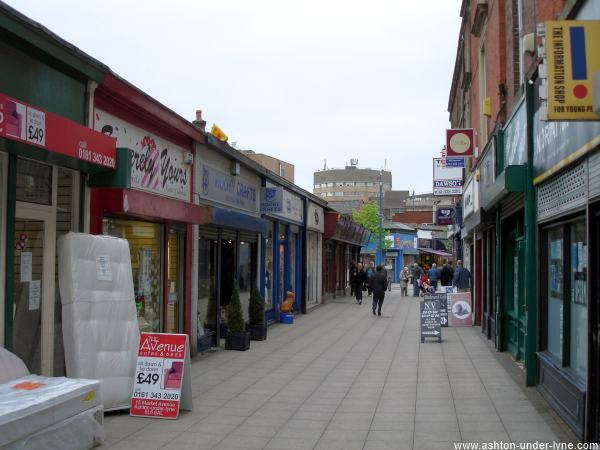 Market Avenue, between Bow Street and Stamford Street was Ashton's early example of a pedestrian zone.